I have sent to you, Jasmine and Eula, our two bracelets that have recently been distributed by our site, The Voice. We have mailed out bracelets from Hawaii all the way east to Newfoundland in Canada and on to Manila, Singapore and Australia. We are gifting the bracelets north from Toronto and some south to Argentina, Chile, Columbia and Peru. Some have been requested and some have been gifted. The two bracelets each convey their own message to David. Perhaps the history of the bracelets is interesting in the fact that the idea was created to give to David our support as he journeys along his career path. 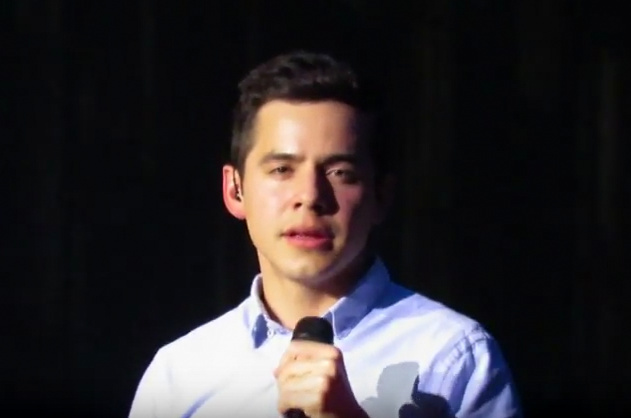 Upon notification that David would be a guest singer at the Constitution Fair in Arizona last September, several of us at the fansite, The Voice, brainstormed about ways to send the message to him that his fans are here and anxious to see and hear him sing. We arranged special seating for fans approved by David and his team, which created a fund-raising opportunity for the event. We compiled for him letters and cards from around the world from people who wanted to tell David how very much they enjoyed and appreciated his music. 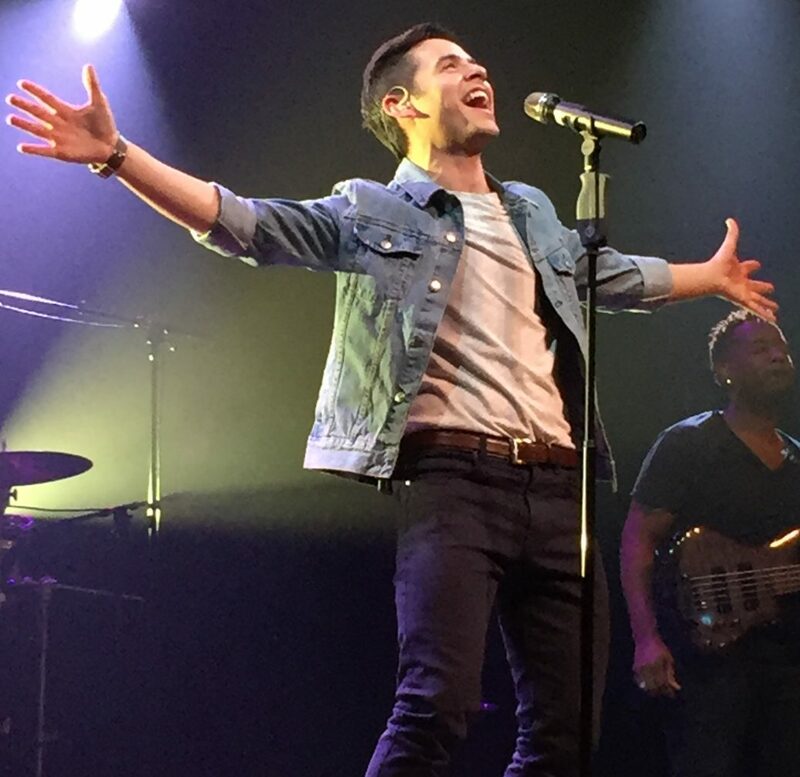 We filled a large travel bag to capacity with gifts from fans for that night and it was then that we passed out the first bracelets to the fans ~ David Archuleta ~ “Nobody Sings It Better.” The response to the bracelets was inspiring. Four years have passed since many of us first met David. During this time you could see fans of all ages waiting in lines for concerts, sitting together in the hot sun, dancing to Zero Gravity in the mosh pits and listening reverently at the Conference Hall in Salt Lake City on a special Sunday morning in December. Age has had no barriers. 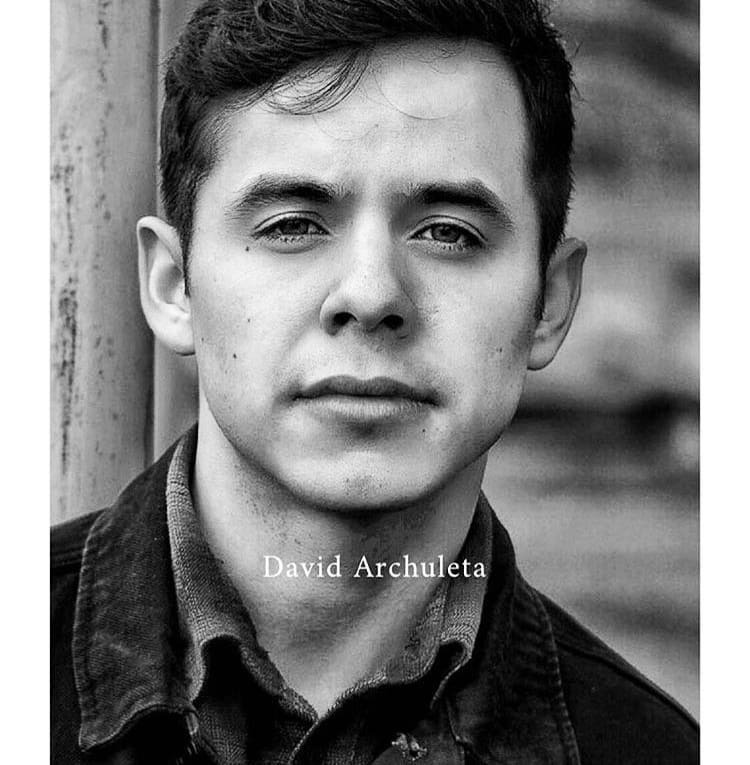 As David has worked diligently on his career path, his fans have also put forth their talents and means of communications to come together as a strong unit. 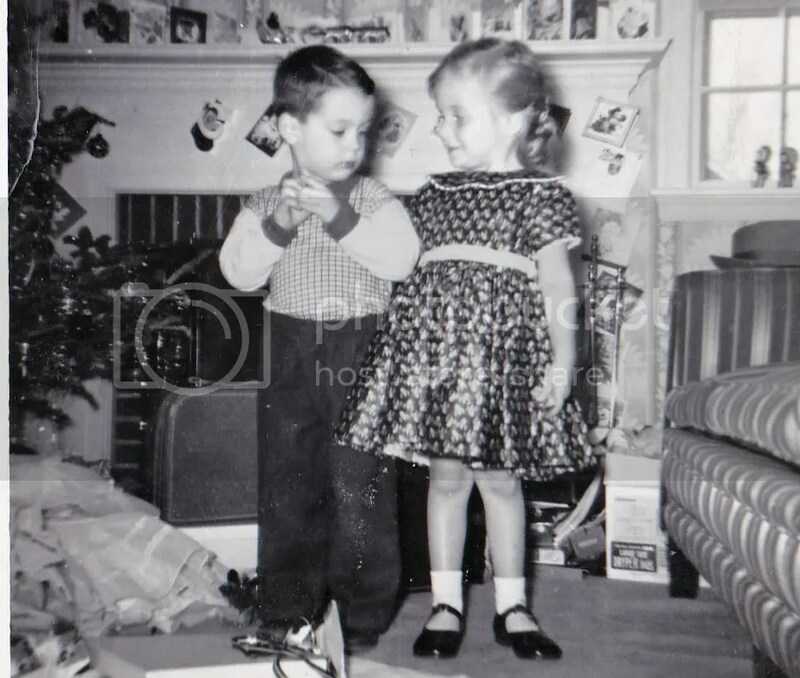 Gatherings of fans from several of the sites in the United States began to take place as far back in time as his Christmas From the Heart tour. The site, Fans of David held the first large gathering that took place in Salt Lake City, by hosting a Christmas brunch. Richard Parkinson played the piano and sang, much to the delight of everyone there that day. From that time on, fan sites organized gatherings to be held during the tours both on the east coast, the west coast and everywhere in between. Long before the incredible four days of the Tabernacle Choir Christmas concerts, fan sites began to set new plans into motion. The SnowAngelz was the first site to host, reserving a restaurant for an early brunch. The Voice filled a Thai restaurant for lunch. This event was followed by a number of fan sites taking their turn and filling restaurants to their capacities. During all of these times, the administrators, the writers and the fans of the sites began to come together creating as a result, a strong fan base throughout North America. But I would not want to forget to mention the important work of the fundraisers and the fans who have contributed to several of the charities that David supports. Among the many charities, we have helped to create a sidewalk in India and some have now become supporters of Child Fund International. Now for the second bracelet that is written in Spanish. 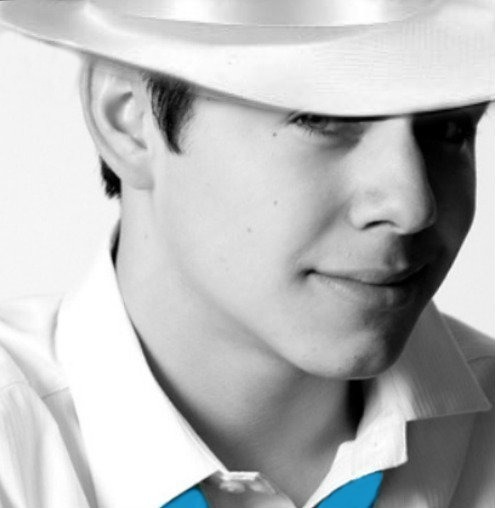 The quote on the bracelets was taken from the song “Contigo En La Distancia”, sung by David at the Alma Awards, 2009, and says, “Te Has Convertido En Parte De Mi Alma”___You Have Become A Part Of My Soul. So this is just a chapter from a story to be continued. As fans in North America reach out to each other and the world, we look forward to the time when David returns home. 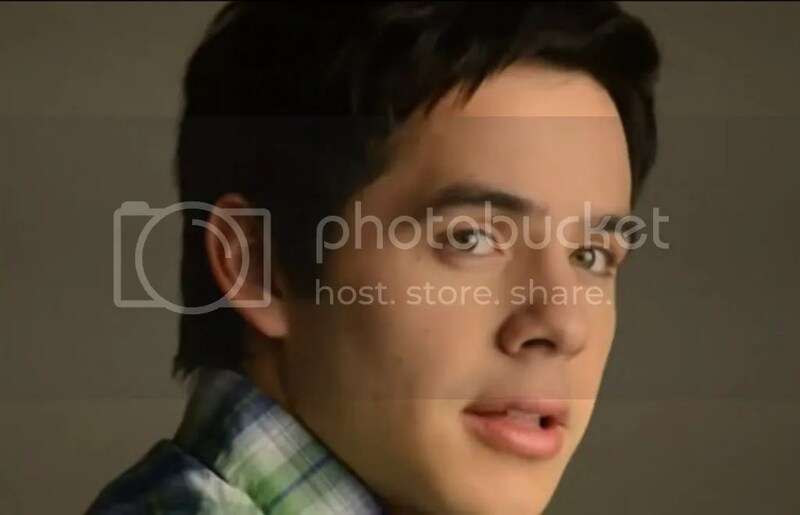 This entry was posted on Wednesday, May 30, 2012 at 1:01 AM	and is filed under @kariontour, David Archuleta, fandom. 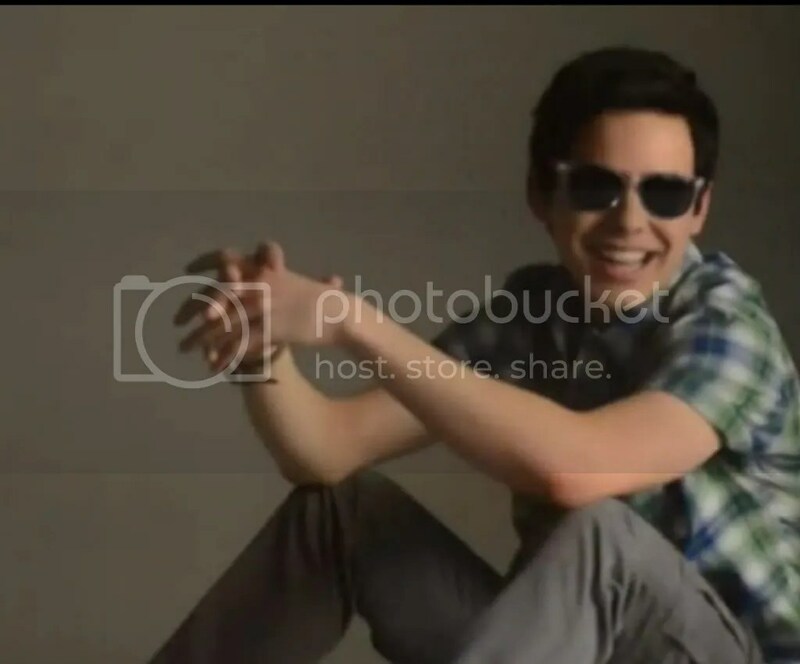 Tagged: BFF, David Archuleta, He'll be back., Standing by him = Standing by each other, the Voice, We'll Be Here. You can follow any responses to this entry through the RSS 2.0 feed. You can leave a response, or trackback from your own site. Beautiful article. I think David’s fans do have an unusual tie to each other as well as to David. Although I’ve never been a fan of anyone else, I can’t imagine that there is another fanbase like this one. Fans go to great lengths to attend his concerts and take advantage of every opportunity to meet up with other fans and share their love of David and all he stands for. Much like David, his fans are sharing, caring, giving individuals. From the lovely gifting of bracelets to the gifting of books, CDs, or singles to others, even delivering letters and cards and gifts. And we can pretty much count on every bit of news, every concert, every interview, every segment of a mini-series, every public appearance, being shared by someone. No matter where in the world it happens, all of us are able to enjoy it through the generosity of other David fans. 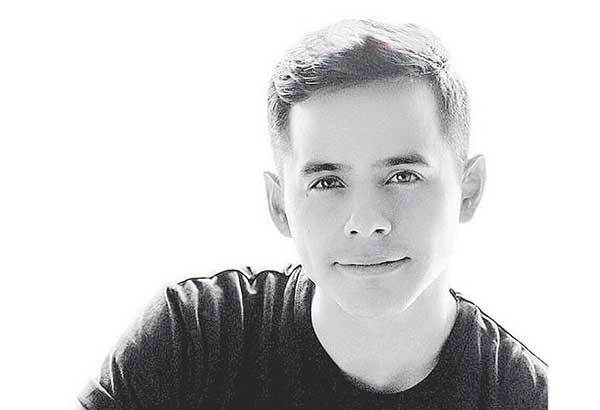 We understand each other regarding how we feel about David, and those who witness him in person willingly share all that they can with those of us not able to be there. Can I just say how much I love this fanbase. SB – what a beautiful article and letter! The ties that bind us as fans are stronger than ever IMHO. I can’t imagine my life without all of you being a part of it. David certainly did create something special when brought us all together! I was taken by the message by djbell and envisioned all of the links reaching across the US and off into all directions. I am amazed by the fans with how they think so deeply, but then they are following the master of thought himself. I was so pleased to receive the picture and note from Blueberry Ice from the opposite shore from me. The poem, well I think that every word must have been written for us! The letter wil be mailed to Kari as well! SB, Wow what an amazing letter to represent our love of David! I will read it again and again. I’m so happy you’re sending it to Kari. I wear my David bracelet every day and have had many compliments on it. Thank you SB for the beautiful arcticle. Dangit SB, you had me tearing up. The bracelet idea was exciting to me from the beginning. It truly is a “chain of support” as djbell mentioned. A chain of support for David and for each other. With the “second generation” of bracelets my appreciation increases. Thank you so much for your dedication to this project. The very sight of the bracelets lifts my spirits, as it brings thoughts of David. Also love The Ties That Bin by Richard Baird. It was djbell’s poetic sounding quote that had me reading over and over and then I would go right to the poem. They do go together. Memories come back every time I read the poem and the memories are of the many people we have met and have spent time with. We can get discouraged sometimes but as long as there are people around us here, we have great staying power. SB, you’ve done it again. This is a beautiful post and I love the sentiments in The Tie That Binds. Thanks to you SB and all those involved with the bracelet idea, that is possible! Very well said SB! I have said it before but everyday there is something that I read and it just reminds me the bond that the Archies have is just amazing. The “chain of support” you all show to each other I have never seen with any other artist fanbase. The history of the bracelets is really interesting. I know I have not been there from the beginning like must of you but I thank you for “taking me in”! I cannot wait to get the bracelets that “ties” us all together. I know there will not be any concerts for the next 2 years but I do hope you all still get together and celebrate and let me know cause you never know I just might show up somewhere! Kari, welcome to The Voice! David has a wonderful worldwide fanbase, and their passion for his music since the moment he sang ‘Imagine’ is growing steadily every day. We have shared the most amazing concerts with David over the last few years where we have had the opportunities to spend time with him and express our appreciation for his beautiful voice and for himself as a most caring person. A common word that we use is ‘blessed’ when we are able to gather together and spend a time with David and his music. We will be thinking of projects over the next two years that will keep his music close to the listeners and to his long time fans. We should most definitely include a time to celebrate perhaps in New York or California! We will surely let you know when we have something scheduled. You do a pretty great job of keeping David connected to his fans yourself! Hi kari, glad you dropped in. My bracelets are some of my most prized possessions. They are a reminder not only of David, but the bond I have with all the fans. It matters not that you joined the family at a later point in time. That you are with us now is the most important fact. We all see how much you do to make David’s journey easier for him. There is much heartfelt appreciation for you! 🙂 Thank you for being his manager and his rock in the business. SB thank you for a lovely post.I love the poem. Really does sound like all of us fans doesn’t it. Today, I brought “Forevermore into the kitchen where I was cleaning so I could hear it better. 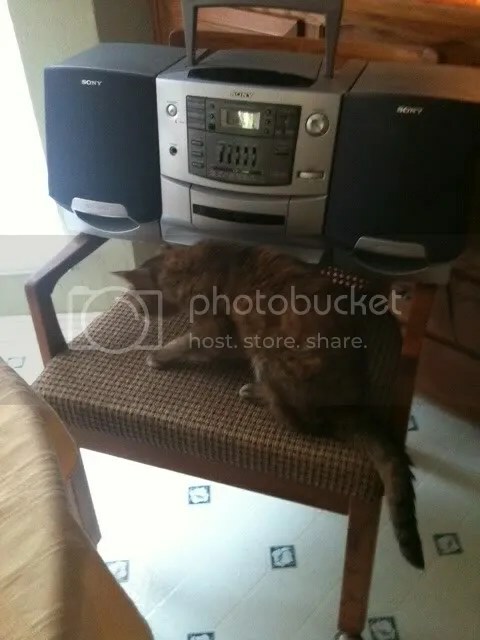 Set my daughter’s cd player up on one of the kitchen chairs and cranked it up! the next thing I knew “here comes kitty! She loves her some David!up close! SB, Just got word from Hanne in Denmark that she got hers!! ..and will be giving her niece one too!! I know I send you an update now and then but just had to mention Denmark to your link article!! 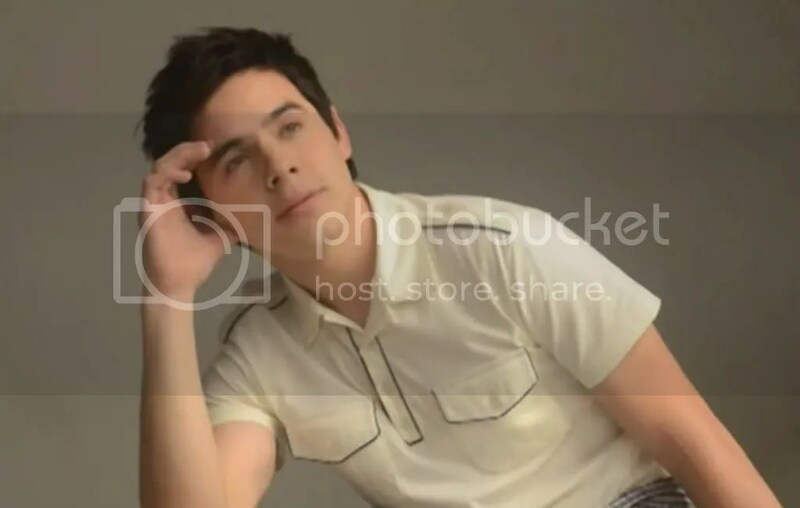 Kari, so wonderful to see your post♥ Thanks for all you do for David, and for his fans! Yeah Heidijoy, another country heard from! So pleased to hear that she received them! Betsy, David’s music is enjoyed by everyone!! Kari, Welcome!! It’s so great to see you post here. I’ll ditto what Skydancer said, thanks for all that you do for David and for us. ♥ We apreciate it so very much. Terrific letter, SB. You and your helpers are amazing fans, and Kari is both professional and a sweetheart. Thank you both! Xaris…it is just about August, well at least nearly June! It has been a good day on The Voice. Thank you all for your kind comments and for your welcome to Kari whose visit was a pleasant surprise! 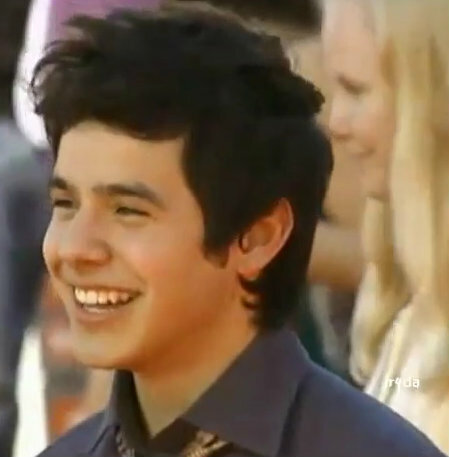 You have to love the red carpet and there will be more red carpets in the future with David on them of course! Kari, here’s a HUGE Utah welcome!!! Thank you for taking such good care of David! You have to know you have your own fanbase in all of us. ♥♥ We are all resting much easier knowing he has someone as capable as you taking care of ‘business’. This … “You have to love the red carpet and there will be more red carpets in the future with David on them of course!” <<< Yes. 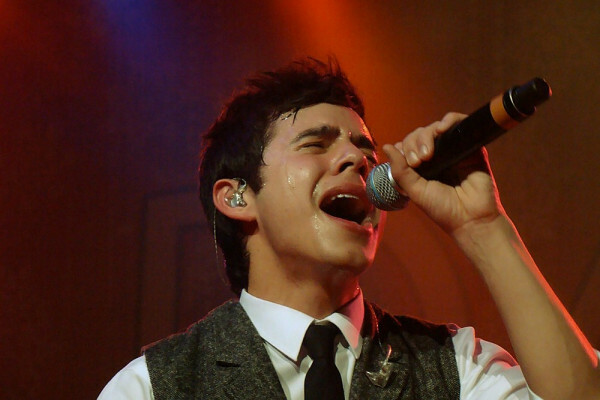 Unlike many of David’s fans, I HAVE been a fan of other artists in the past and have gone to multiple shows on tours. Fans are crazed all over but David’s fans are unique in that there’s a commonality of spirit among us, a mystery in the fabric of our personalities that is perhaps the tie that binds us. It’s an interesting concept to consider and there’s no doubt that it’s real. Kari, A hearty welcome to The Voice. Glad you came to visit the place we have called home for the last few years. 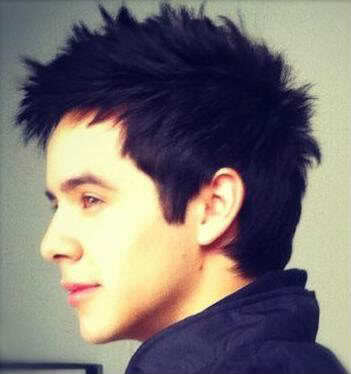 Your dedication to David and his fans does not go unnoticed and is very much appreciated. kari, hello, how are you? 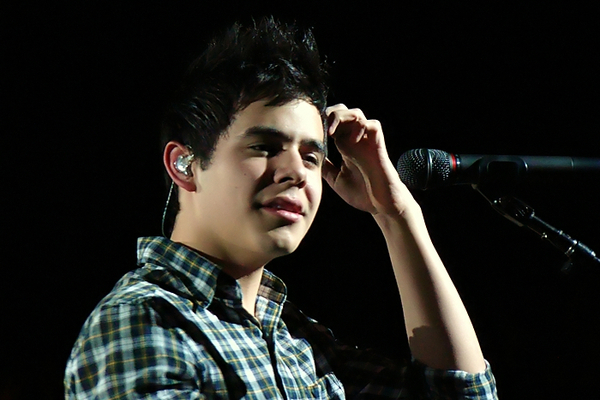 I want to tell you that in Argentina, there are also beating hearts by david. 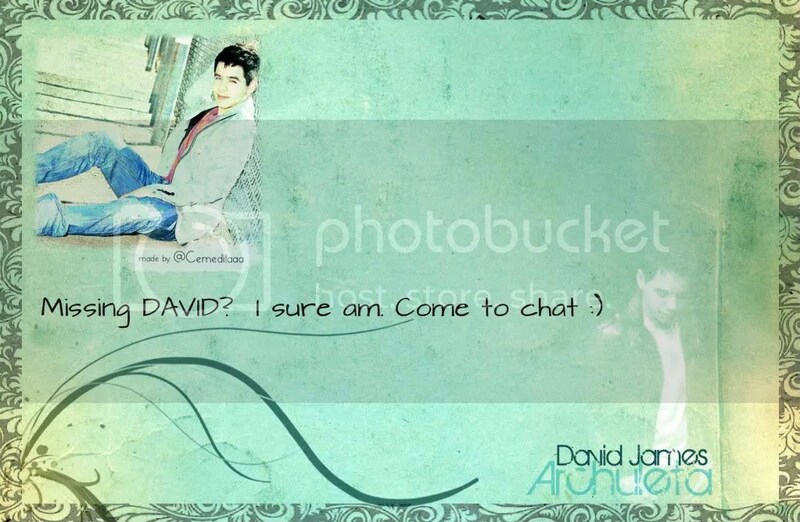 Please, tell David that he is welcome to my country, when he wants to come. 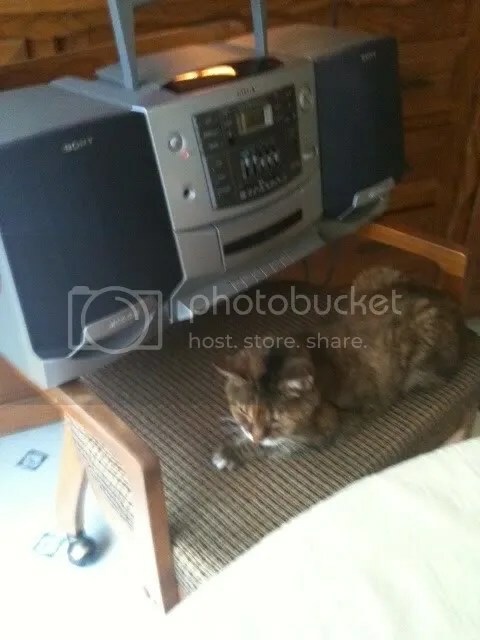 Your cat has great taste. Mine loves my singing, which is very similar to the sound of a cat squalling. Thanks for all you do to promote David and strengthen the ties that bind us to him and each other. The bracelets are a great way of doing both. Every time I glance at them on my arm, I think of David, and all of you and can’t help but smile. Sb, love the post and the poem!♥♥ They are so perfect together for showing the love and dedication of all of David’s fans. 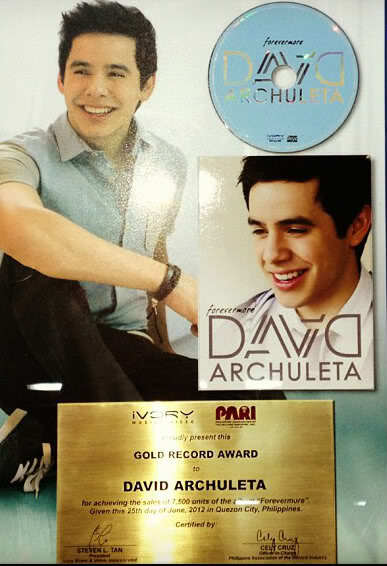 I’m so glad to be a part of his fanbase, we are so blessed indeed! I loved reading the comments. You all confirm that I’m in the right place at the right time for the right reasons. Thank you all. Every thread needs this, right? Angelica #27-I hope I sense an article blossoming in that lovely head of yours, because I have frequently wondered what binds David’s fans together so firmly. I think it is more complex than ‘nice attracts nice’. In the early days, I wondered about the converse, too. Why did David attract people who disliked him so intensely? I can think of many people whom I think can’t sing worth a diddly, but I don’t waste 30 seconds checking them out online, let alone posting negative comments everywhere. Abrra #31-Yes. We shallow-minded folks appreciate the appearance of that gif on every thread so we don’t have to scroll around looking for it-LOL! Have a good day y’all! Kari! How thoughtful of you to stop by! We can’t thank you enough for all that you do and hope you know how much you’re appreciated. So glad you love your job! Djbell; ” .. a “link” of the chain of support for an amazing young man …” <—— David makes it so easy for us to give back to him for all that he's done for us! MT; #1 … “Can I just say how much I love this fanbase” <—– Absolutely Yes, Yes, Yes! Archiesfan4life; #2 … “David certainly did create something special when brought us all together!” <—— Indeed, what makes me appreciate being a fan even more is what all of you so generously share & add to this experience. Goodkarmaseeker; #4 … “Connecting with David people continues to be such a positive part of my life.” <—— So true and an added unexpected bonus! Dayzee; # 6 … “Thank you so much for your dedication to this project. The very sight of the bracelets lifts my spirits, as it brings thoughts of David.” <—– This is why I took that photo of us wearing SB’s bracelet to let her know how much it means to all of us. Greatly appreciate all the time & effort that she's dedicated to it! Bebe; #25 … “David’s fans are unique in that there’s a commonality of spirit among us” … <—– I got to believe that there is an inner “spirit” or “voice” that speaks to us and ties us to David and each other. I think it’s the same “spirit” within David that makes him so special & unique. D – DISTRACTION or DANGEROUS or Dangit David … won't get any work done after #31 … lolol! Abrra…I mentioned just that #31 to MT but I think she thought that I was kidding. Not in this case, yes it is appreciated! E ~ ENTER ~ stage left! On another note, once in awhile we should give notice to our in~house~cat at the top right sidebar. Her name is “Sentinel” and she has always sat watching out the window for David when he is away! 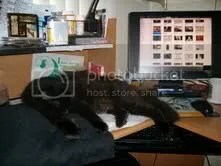 She was overheard saying the other day, “Some cats have to do all the work around here!”, to which I replied, “Just imagine the overtime pay/catnip/cream!”…All is well! Before I am dismissed for too many comments, I wanted to give credit to..I believe her name is Mary for the ‘BEGIN album cover art’ that we have at the top of the article. If anyone can tell mer her full name please do! SB, glad Abrra brought that over for you, AND for the rest of us. 🙂 I debated bringing it here again when I saw Kari posting. 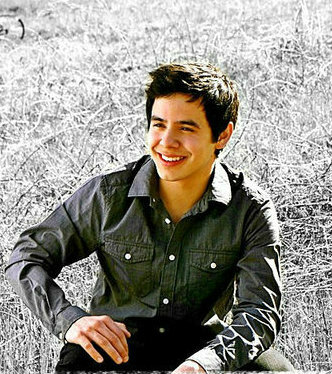 But I guess I shouldn’t have worried about it since she must surely know by now that David’s fans love EVERYTHING about him, from his stunning voice and shining character to how gorgeous he is. Ya just gotta love the guy, he is the total package. F = Forevermore. Fantastic. Favorite. I am still in love with that album. We have another album coming up, but I can’t imagine loving anything more than Forevermore. Each time I think I have found my all time favorite, it changes. Guess where David is? Name the country. Extra credit, name the place. It’s been awhile since I have been able to be online, but I wanted to say thanks to SB for such a lovely article and all your kind words. Just the thought of all these bracelets traveling the world as a gesture of support not only for David but for all of us too really made me think about what a lucky bunch we are. Not only are we going to eagerly await his return, together we wil be actively celebrating all he has given us these past 4 yrs!! He is loved for being “just David” and all the joy he brings and we are blessed for having found him, and each other. She is forwarding them to you! There is a special note I send David that I have shared with Leah I believe she forward it to you. Thanks again hope you like them. Took this from AFS. It’s another Myrtle Beach pic that I’ve never seen. 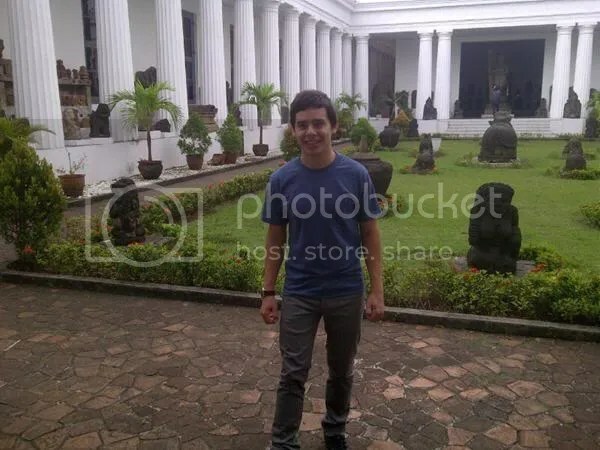 Its the International Museum of Indonesia in Jakarta! Bebe, I love that Myrtle Beach picture. That was one show I wish I’d gone to. Well, I wish I’d gone to many more, but that one in particular. Am greedy I guess. Having a little Heaven party all by myself. (with brownies) You don’t want to know how many versions I’ve watched. Really you don’t. Harold, SB, Yes Harold I have forwarded the pictures and tribute to SB this week. It takes awhile from Iowa to Canada but it’s on the way. Leah(Heidijoy) Thank You. We are now linked together !! Djbell…it ‘s nice to see you! I was taken back by your message to me, and immediately I wanted to write about it because it was so very true. SandyBeaches, what a nice letter/article you wrote, David’s fans are a very creative bunch; always come up with some brilliant ideas to spread his greatness out there, the bracelets look lovely and yes..”Nobody sings it better” is just right !! Hi Kari, thank you for everything you do for David and us fan. 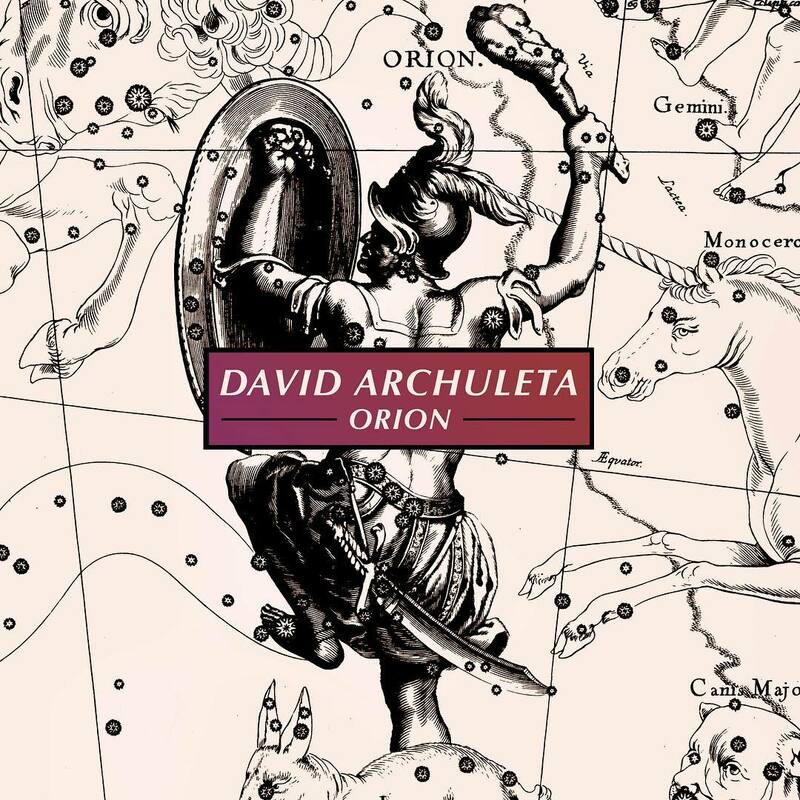 #16 skydancer1x, what a smart cat 🙂 my late cat poco loved listening to David too, must be something in his voice..the tone..the vibrato..the sweetness Idk that has soothing and calming effect …make you “high”. #31 Abrra, yes we need that kind of pic every thread, he reminds me of Captain America or Superman any super hero actually … sigh… David and his black shirt and that upper body of his !!! H : Hold on, this song he sing as one of those songs he’s telling us to hold on and wait for him, I made a vid of this song staring cute animals and David. Hope you enjoy it. I guess tonight is the night for videos! Betsy#54 Thanks for Bench video! Surprised we didn’t run into each other in the screen cap lab tonight. Look at the contrast in the same frame. I did see you there but didn’t want to make a peep as to not disturb the brilliance! See comment #54 for video. well, my thoughts just flew out the window..so Good Morning and now please excuse me while I go watch video again. Betsy thanks for the vid … what !!! back to school campaign, how do you expect the students to concentrate on their lessons or the teachers to teach.. but if I were them I’ll run back to school right now !!! whoa !! if the vid’s any longer I’d have to call an ambulance !!! Skydancer #62, “mercy! !” indeed! What a gift to get us going this morning or perhaps we’ll be stationed at our computers for quite awhile. Thanks for all the screencaps! Meant to say I loved your video! Watched it in Unplugged last week for first time. Very nice! Angelica, Oh thank you, you guys are so fast in finding David related thingy 🙂 sorry I never get to join Unplugged .. time zone (I think). 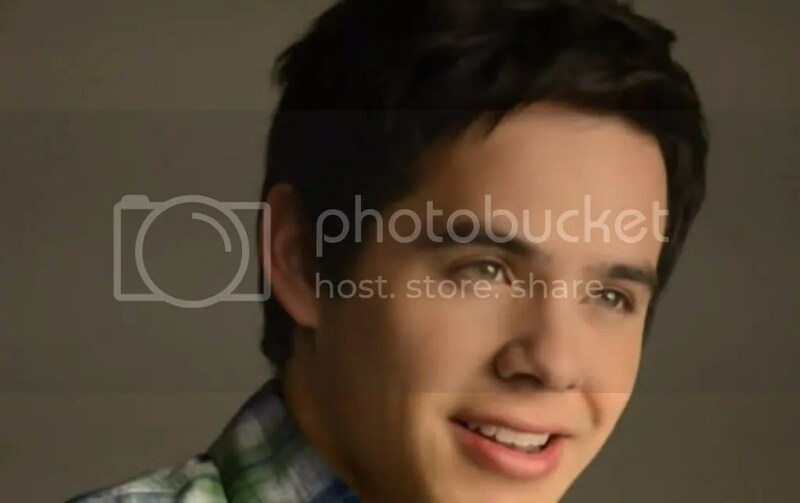 I forgot to mention to Kari that I used the picture that she took of David as part of the card!! I am the spam queen today. Abrra, don’t even think about using your pitiful wand on me. Lots to post and mine is bigger than yours anyway. Right then. Down to business. Today is the last day for the auction of: The Pillow. It is the 2nd Anniversary of the release of Chords of Strength and the final day for the auction for Rising Star Outreach. Bidding ends tonight! Go here to bid on pillow and autographed copy of COS.
Go here to read about the great work of Rising Star Outreach. Go here to read the original article posted on The Voice. The Voice will be tweeting the links to the auction all day too. I’ll let you all know later tonight if dreams really do come true. Seriously, I hope a lot of $ is raised so let the bidding Begin. Sky texted me this morning with a very sweet picture and message I want to share, with her permission.Her sister had been scanning old family photos. Your witch doesn’t scare me! How adorable you were/still are, Sky. And what a little flirt! 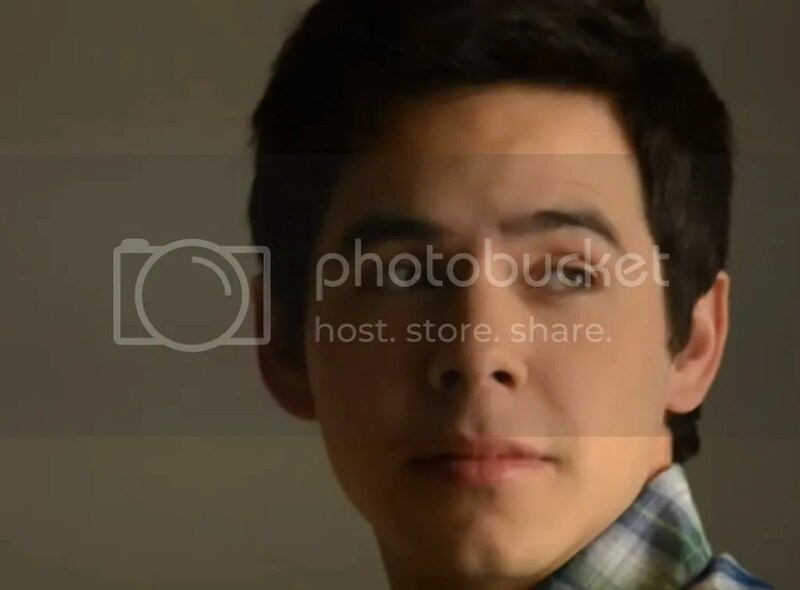 You are definitely checking out the David Archuleta look-alike there! Abrra, pleez. Do you see my wand? Oh is THAT a wand? I thought it was a rainbow colored marshmallow! PPPPPFFFTTT!!! 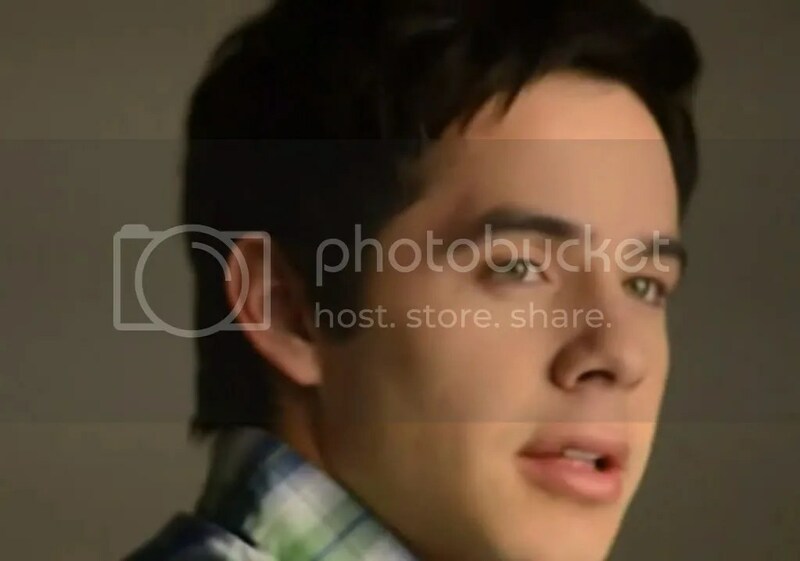 it really a great close up of David!!!!! I’m not sure how to post it but I will try. If it doesn’t work, could someone else do a better job? It will make this already great day even better! A rainbow colored marshmallow? No, but you might see rainbows. What is that thing in your hand? I could snap it like a chicken. phhhhhhhhhhfffffffftttttttt!!!!!!!! GoodKarma, love love that video. That note just sends chills down my spine! Betsy, what a find. 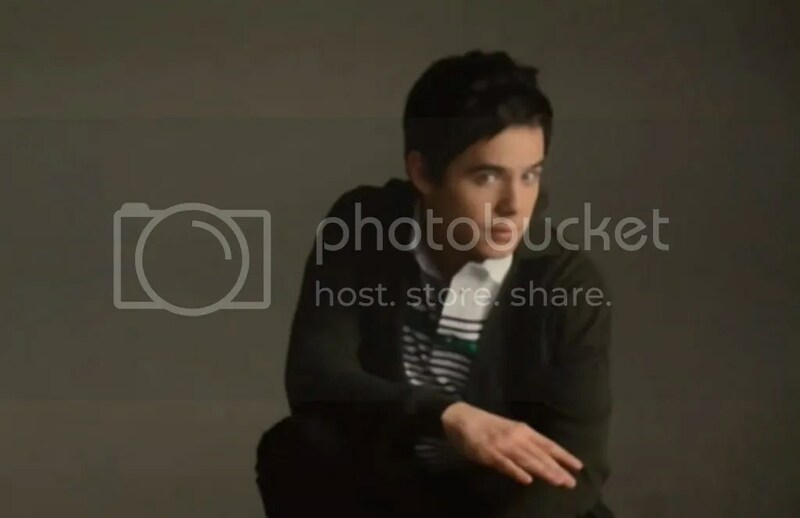 Bench I want a fall and winter campaign please!!! Today is the 2nd anniversary of Chords Of Strength which was a New York best seller and is on sale today! 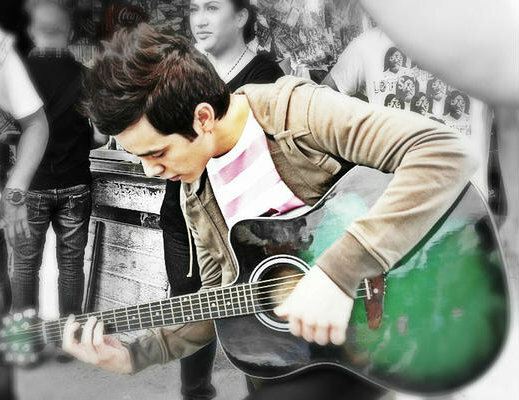 himself, his talent, and his abilities. Intimate and uplifting, Chords of Strength allows a unique glimpse at the man behind the music and offers hope to anyone with a passion and a dream. It is difficult to get around in here today. Never knowing when one might be struck by an errant wand or step on the tail of a sleeping cat. And watch out for that trap at #31! The Bench video sending us back to school Then the screaming screen caps. Help!! Made it through all that and the cute animal vid, but the glory note was just too much. SKKKYYYYY! You are checking that boy out-LOL! And he looks so modest, too. Thanks for posting that; it’s completely adorable. Thanks for the My Hands video, too, GKS! That one is always worth watching again. And again. There goes my productive afternoon. Pffft, who needs a house with clean floors? Xaris, I totally agree. Clean floors are so over-rated. Dayzee, Ready for one more screamcap? Kari tweeted a pic from the Bench shoot! Bless her heart! She’s always thinking of us! Happy “Chords of Strength” Day! Goodkarmaseeker, That’s one of my favorite “My Hands” video. Thanks for posting! SkyDancer, You haven’t changed one “Lil bit”! Angelica, Fingers crossed for you! how do i post a pic here ???? I took a few scream caps from the Bench video 🙂 He is fetching! See what happens when you doubt the powers of my wand? Oh My Lots of goodies!! Loved the creativity and thought that went into the Video you posted with Hold On. Love all the little animal photos along with an occasional picture of David. Also enjoyed that performance of My Hands and David hooooooooooooling on to those notes. Happy COS two year anniversary. Loving the new Bench back to school and all the great Photos. Woo Hoo!! Happy June 1st. 9weeks of service. Blessings to David and his fans!! lol You guys are killilng me. 1. You want me to meet someone? 2. Yeah, not really interested. 3. Wait, is that her? 4. I might have to rethink this. 6. Oh man, is she leaving? 8. I wonder where she’s going? 9. Yep, she’s back. 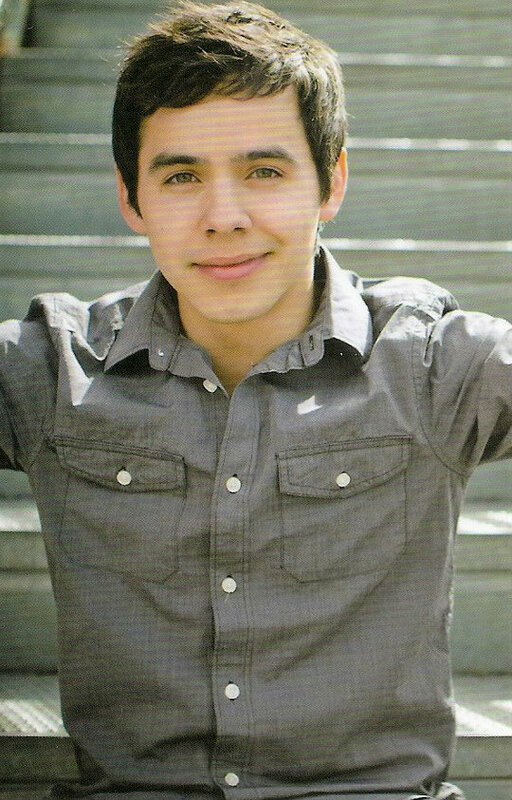 Who can resist the Archuleta charm? I loved your video. I must have said Awwww on every pic, including David’s. That is the sweetest video I’ve ever seen. Very nice job. 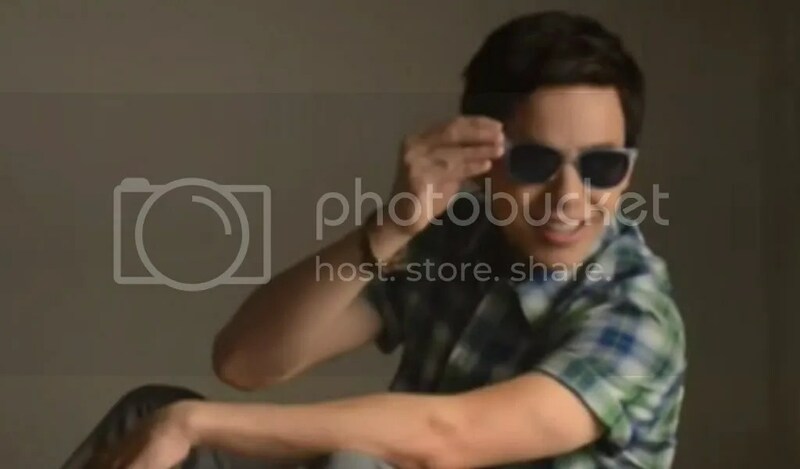 And the Bench vid is all kinds of gorgeous. But then I don’t really need to tell you all that, do I? That hoooooooold on note where he bends down and just sashays it out of himself is killer! And that HAIR! He and Amber must have like, glow in the dark DNA. 86 correction meant hoooooooooooooolding!! Forgot the d!! Guess I’ll just blam Abrra’s phone too!! fetching….so that’s what you call it. WRT Abrra’s scream caps in 83–I don’t want to appear shallow (I probably am, I just don’t want to appear that way), but I just have to say his serious expressions are mesmerizing. Was he practicing melting the camera? I hope he doesn’t accidentally kill off his first girlfriend. Wouldn’t be a bad way to go though, would it? Speaking of fetching, I remember a long while back on another site, someone made this confession in comments…”If he threw a stick, I would fetch it.” haha. Still cracks me up. xaris, “I hope he doesn’t accidentally kill off his first girlfriend.”….idk, I see no hope for her. 94. Xaris, LOL That is just hilarious! and no, not bad a way to go! And I freely admit, I have my shallow moments. 😀 Can’t help it. Sometimes it’s hard to take your eyes off of him! 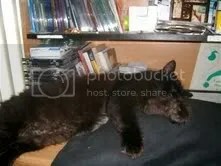 LOL So that’s the cat that was visiting Ray during chat! haha Too funny. Must be because Ray plays David’s music on his computer there. Time to take May off !! Happy June!! Day 65!! 9 weeks! But who’s counting. Unbelievable! Even felines cannot resist! One more month (May) bites the dust! 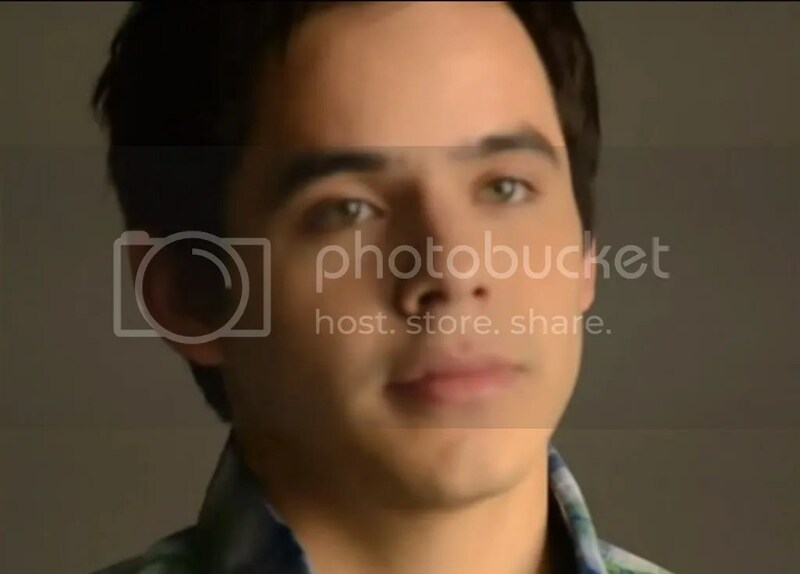 The Shining Star of the AI Finale in May 2008 sang, “Don’t Let the Sun Go Down on Me.” Clive Davis picked the first round of songs and David picked the first single from British musician Elton John’s 1974 album Caribou. It was released that year during the latter half of May in the United Kingdom, and on June 10, in the U.S.
slow walk to the front of the stage and poured out a worthy ballad. 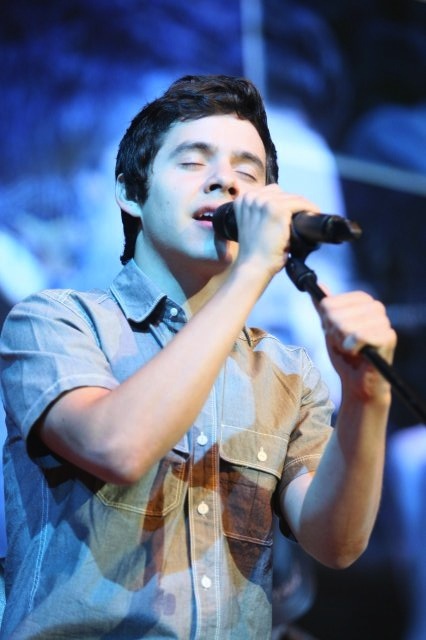 He delivered amazing vocals; his voice was so clear, so pure, and so similar to his other performances on Idol. He always brings something special to a performance and rarely ever misses a note, if any. 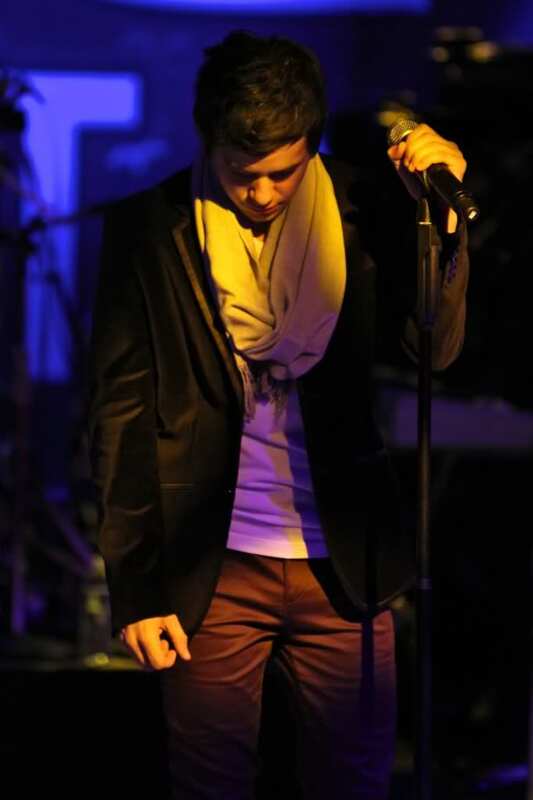 He performed as perfect as a singer can perform with flawless talent, and gave a superior stellar performance. Randy told David that it doesn’t matter what happens, he has to know one thing – this was one of the best performances this whole season and he picked the right time to peak. 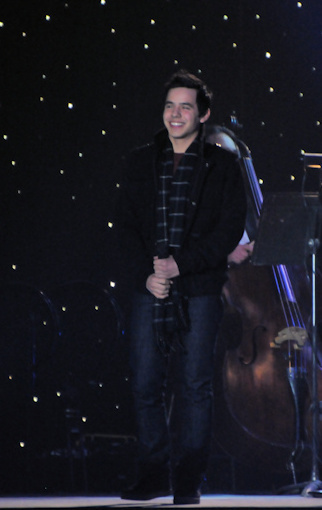 David had nailed his performance and the judges said that his singing was beautiful and stunning. Simon told him that the song was the best he’ done so far in the competition. Her comment reminded me of some cute and funny moments during the American Idol Tour. Weather was an issue for the Idols on tour when they were meeting fans at the buses. Often it was overcast or raining causing a delay or canceling them completely. 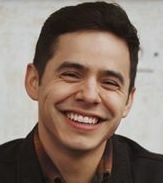 In one city a fan was talking with Jason Castro and David hadn’t come out yet, and she was worried it would start raining and prevent his greeting fans. Jason proceeded to re-assure her not to worry that as soon as David comes out so would the sun and it did. So you see Paula was right “the sun is never going to go down on you”, and it never will. David’s “Don’t Let The Sun Go Down On Me” was one of the most brilliant, emotional performances I have ever seen on the American Idol stage. It was two minutes of musical magic, mesmerizing, almost hypnotic. I couldn’t take my eyes away from the television screen. I was absolutely overwhelmed with depth of his musicianship. The phrasing, the nuances, the dynamic range, the soulful expressivity, the meaningful articulation of the lyrics, the pacing – it was all there in this singular performance of this Elton John classic. It’s funny – looking back, before I heard David’s performance, I wasn’t thrilled with David’s selection. Over the years, this song had been performed countless times on American Idol, the first time being when Season 2 Runner-Up Clay Aiken used the song to catapult him into the Top 12. 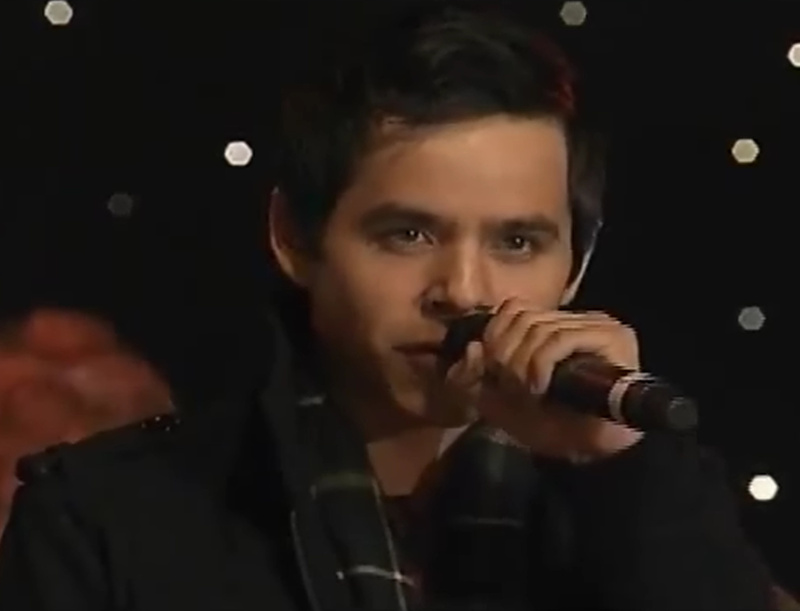 So, here we were once again, five years later, watching another performance of this song by Top 2 performer, David Archuleta. What more could David do with this song that hadn’t already been done? Well, as it turns out – plenty! There were so many twists and turns in this two-minute masterpiece performance that I remember staring at the TV screen in absolute awe. “Your first number, Don’t Let The Sun Go Down On Me was a brilliant performance, overflowing with style and substance. I have heard this song performed many times and performed well, I might add! However, your interpretation was, for me, the pinnacle of all past performances of this number. It left me in tears – first time all season! I loved the opening ambience of this number, a sole spotlight on you seated at center stage on the stairs. It not only created a relaxed mood, but also the measured and unhurried pace allowed you to ease into this song. By doing so, you were conserving your adrenaline for the dynamic vocals that were to follow and, boy, did they ever! However, before we move there, I should applaud you on your excellent posture while seated on stage. Your elevated rib cage provided consistent support to your resounding baritone vocals. You even had one foot ahead of the other – one foot on one stair and the other on the stair above it -which all singers should freely adopt, particularly while standing. This allowed you to establish a forward position with your body, thus assisting you to generate a forward momentum within your phrase lines. Additionally, you were primed to move easily off the stairs when you changed positions and walked to the front of the stage. Additionally, your hands and arms were relaxed and free – no tension there whatsoever. You were primed and ready to hit a home run and so you did as the song moved effortlessly and with astonishing artistry to home plate. This was indeed a very special night for David. He performed three outstanding numbers and hit a home run with each of them. 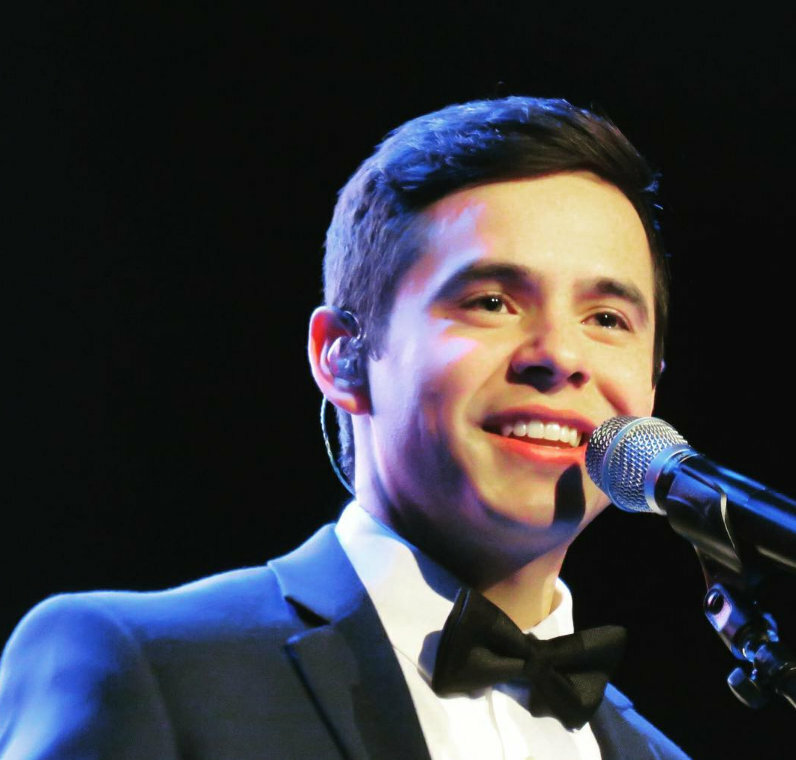 But, this song was his shining moment – it left me breathless and so thankful that we were blessed with his enormous talent via the American Idol process. Why am I doing the happy dance? Ummm…Could it be because you won the pillow?????????? Sky, What an endearing picture. Thanks for sharing. MT, love the captions. Does this man ever take a bad picture? Never. I do love the BTS in action. I always love to read what MasterClassLady has to say. She knows what a gift David has and is. Abrra♥haha you and Angelica have me in stitches!. been away from the computer most all afternoon and evening I can’t believe all the goodies here. holy cow, it’s like Christmas!! Ray! thats a big kitty! haha Guess he has found where he wants to be and he looks pretty darn content! Bebe, I love Masterclass Lady. 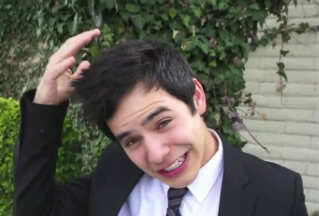 She is so smart♥Her observations of David are so interesting, and she is such a fan. xaris, “I hope he doesn’t accidentally kill off his first girlfriend.”hahaha!! MT you are such a riot! those captions really fit! I just knew Bench video screamcaps were gonna be u.n.b.e.l.i.e.v.a.b.l.e. omg! and I repeated myself.haha I am tired, but you two and the wanding kept me laughing. #69 Abrra you and the little boy are so cute…he does look a little like little David. #98 Ray’s cat is like my white one, they love David’s singing! 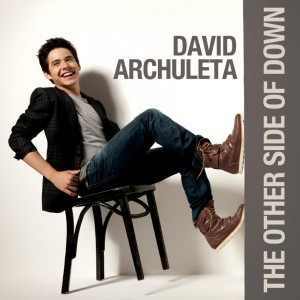 #102 One of my favorites…”Don’t Let the Sun Go Down on Me”!♥ I remember when he started singing this song, I started jumping up and down, I was so excited! #104 Yea! Angelica won the pillow! Congrats! It now has a happy home!